Are you always on the beat predicting the next big thing in music? How about a keen eye for outstanding spaces? We’re looking for maverick-style Location & Talent Scouts to join our fast-growing Music Tech Company. This is an exciting role for creative, driven and passionate people who love music, travel and design with an opportunity to amp up their business development and sales skills in a unique, interesting and dynamic way. beatvyne is a live music marketplace that focuses on the experience, giving complete freedom to hosts, artists and fans to create their own events in alternative spaces. We reimagine how artists are discovered and redefine what a music venue is. Our platform puts the fan centre-stage and gives control to the ordinary person. As a Location & Talent Scout you will be responsible for signing up great new and established artists as well as amazing spaces to the platform, generating leads and meeting sales goals. To rock effectively, you need to be passionate about what we do, the industry we work in, get things done as a team-player, but also drive work forward without being spoon-fed and, above all, be a daredevil in how you can improve things, have a deep understanding of the sales process and dynamics, and also superb interpersonal skills. Previous experience in a sales role in the music, entertainment and/or event industry is an advantage. Preparing weekly and monthly reports to management team. Understanding and promoting company ethos and initiatives. Answering client questions about products, prices and availability. Experience in a sales role in the music, entertainment and/or event industry. Track record of new business development. Bachelor’s degree in business, marketing, economics or related field is an advantage. If this rocks your world, then get in touch with your CV, along with a cover letter telling us something unique about yourself, and relevant links at [email protected]! We’re looking for maverick, renegade Back-End Developers to join our offbeat style and fast-growing music tech company. 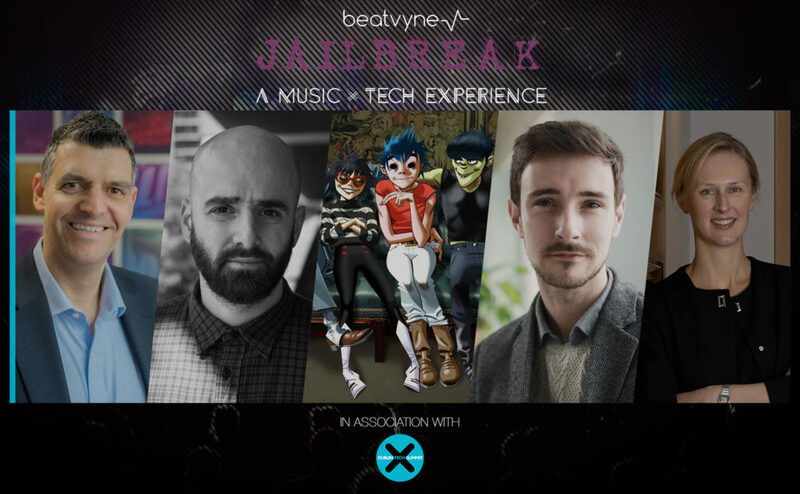 beatvyne is a new, exciting and fast-growing music tech company that focuses on the experience, giving complete freedom to hosts, artists and fans to create their own events in alternative spaces. We reimagine how artists are discovered and redefine what a music venue is. Our platform puts the fan centre-stage and gives control to the ordinary person. beatvyne is the Official Music Partner to Dublin Tech Summit with over 10,000 attendees from all over the world, taking place in the Convention Centre Dublin on the 18th & 19th April 2018 and to Dublin Tech Week, a festival of Technology, Arts and Science taking over Dublin City. We will be hosting Ireland’s first ever Music x Tech Experience, a new stage we bring to Dublin Tech Summit, Europe’s fastest growing Tech Conference, which we aim to establish as one of the most significant Music and Tech events across Europe. As a Back-End Developer you will be responsible for managing the interchange of data between the server and the users. Your primary focus will be development of all server-side logic, definition and maintenance of the central database, and ensuring high performance and responsiveness to requests from the front-end. You will also be responsible for integrating the front-end elements built by your coworkers into the application. A basic understanding of front-end technologies is therefore necessary as well. Back-end development will include tasks such as working with pre-existing APIs to provide content, login session authentication, as well as integrating with third party services. Your tasks will range across the fields of System Architecture & Infrastructure, Payment Gateways, Search Relevance, Machine Learning and Site Reliability. To rock effectively, you need to be passionate about the products you’re working on, the industry we work in, get things done as a team-player, but also drive work forward without being spoon-fed and, above all, be a daredevil in how you can improve things. If this rocks your world, then get in touch with your CV, along with a cover letter telling us something amazing about yourself, and relevant links at [email protected]! We’re looking for maverick, renegade Front-End Developers to join our offbeat style and fast-growing music tech company. Front-End development will include building, maintaining and optimising our platform using responsive design with a mobile-first approach (Web application, native mobile not required). We’re looking for maverick, renegade marketers to join our offbeat style and fast-growing music tech company that focuses on the experience, giving complete freedom to hosts, artists and fans to create their own events in alternative spaces. Play a lead role in growing a first-of-its-kind live music marketplace! We reimagine how artists are discovered and redefine what a music venue is. Our approach to building a network of creatives, music lovers and spaces powered by people, with a passion for slick design, exploring the latest disruptions, a love of detail and creating experiences that stand out has propelled our brand into the mindset of the moment. As Social Marketing Manager you will help us turn our brand into the leading unique music experience platform in the world. You will report to our Chief Marketing Officer based in Dublin and will be responsible for creating, supporting and implementing editorial series and social marketing programmes across our target markets to drive profitable growth for beatvyne. It will be an interdisciplinary role including online and email marketing, design, community engagement, media and analytics and will also be responsible for collaborating closely with the team to share ideas and feedback. You will demonstrate broad marketing capabilities in addition to deep knowledge of the editorial and social landscape. You will have proven expertise in developing and producing stand-out, culturally relevant, highly performing content, with a focus on video. To rock effectively, you need to be passionate about what we do, the industry we work in, get things done as a team-player, but also drive work forward without being spoon-fed and, above all, be a daredevil in how you can improve things and help us create even better online and offline experiences for our community and beyond! Collaborate with marketing and business functions to develop and execute highly effective integrated content series and social marketing campaigns across our target markets. Achieve strategic, creative and operational excellence through the content series and campaigns you develop. Ensure all content adheres to our tone of voice and creative strategy guidelines, as well as being locally relevant and community led. Develop compelling global social and content strategies; social media plans, campaigns and promotions that support marketing plans and business objectives. Manage the day to day spending of production and media budgets for content marketing, taking input from the management team to ensure the strategy aligns with the wider media mix. Liaise with management to implement efficient social effectiveness monitoring and to develop frameworks, KPIs and measurement tools. Collaborate with our COO on budget management, forecasting and actualizing. Be a thought leader and advocate for creating world class editorial content. 3 years experience. Preference for an editorial or content production background in combination with 3+ years in social marketing on the client side in the consumer internet space in music, travel, design, technology, or lifestyle brands. Proven ability to successfully manage individuals and agencies in a nurturing and collaborative way, in a cross-functional environment. Outstanding copywriting and editorial level professional English. Preference for at least one other European language. Keen knowledge of storytelling through multiple media types – from video to magazine article; Instagram stories, Snapchat channels to Facebook Live; photo essay to gif tweets – both visual and written, with deep experience in brand and creative strategy, an excellent understanding of the interplay offline and online, and between paid, earned and owned channels. Specialization in social media and community-building online, including in-depth knowledge of social media platforms, market trends, best practices, content planning, development and publishing, social media metrics, analytics, and benchmarks, including tracking and understanding attribution from social media, web technology, mobile campaigns, and community. Experience building out sustained influencer programs that deliver results. Strong budget and production management skills, attention to detail and communication. Ability to work within tight deadlines, adjust to changes in priorities, and balance short-term needs with long-term strategic initiatives. Active personal social media profiles – you must be producing what you’d consume. Passion for all things music, tech, unique experiences, experiential marketing experience is a huge plus. If this rocks your world, then get in touch with your CV and relevant links at [email protected]! As Digital Marketing Manager you will help us turn our brand into the leading unique music experience platform in the world. You will report to our Chief Marketing Officer based in Dublin and for planning and executing a full funnel marketing strategy aligned to our commercial objectives and user engagement agenda. This role will involve working cross-functionally across Marketing and Sales, optimizing our entire web presence utilizing social tools, content, PPC and display to help drive leads and sales, based on understanding the customer base, as well as a deep understanding of digital marketing tactics, and a broad understanding of traditional marketing strategies. To rock effectively, you need to be passionate about what we do, the industry we work in, get things done as a team-player, but also drive work forward without being spoon-fed and, above all, be a daredevil in how you can improve things and help us create even better online experiences for our community and beyond! Deliver full funnel strategies from conception through to implementation and analysis of results that deliver on revenue and user growth, including hosts, artists, fans and brands. Create and manage integrated digital media campaigns incorporating PPC, Display Advertising, Social Media, Email, Content marketing and more. Effectively manage the digital team, channels and budget to achieve booking revenue as well as host acquisition targets. Execute plans to achieve performance goals for the end to end online customer experience and usability of the beatvyne website – identify opportunities to optimise and improve online conversion rates. Work closely with our IT team on new web projects, from scoping to design, managing implementation and testing. Lead the planning, implementation, management and analysis of all SEO campaigns. Assist with PPC campaign planning, implementation and analysis. Manage and contribute to the creation of digital media assets and artwork for social media, advertising, presentations and website projects. Manage and optimise the distribution of content across different digital channels to maximise exposure and drive awareness. Present proposals, progress reports, results and findings to senior management. Consistently assess domestic and international market activity, provide insights and identify opportunities for growth to deliver a world class online customer experience. Lead and manage the relationships with external agencies and suppliers. Align best practices across marketing teams to ensure quality deliverables. BSc/BA in Marketing/Digital Media or equivalent experience in Marketing Manager role. High energy and results-orientated individual, an innovator with a passion for all things digital. A track record of 3+ years in successfully promoting and building brands online. Strong project management skills – ability to manage numerous projects and organise resources effectively. Working knowledge of Excel and Google suite required. Web design experience using Adobe Creative Suite, Sketch, InVision or similar tools. Understanding of Content Management Systems (WordPress, Joomla, etc.) and web development technologies generally. Analytical mindset with ability to understand and interpret data to draw out valuable insights. Experience with web analytics tools. Experience measuring and evaluating SEO initiatives. UI/UX qualification, Google SEO certifications a bonus. Be a leader with the ability to effectively communicate with, influence and constructively challenge key business stakeholders. Excellent written and verbal communication, project management, and problem-solving skills. Goal oriented with the ability to move quickly and easily between high level strategy and rolling up sleeves for execution. Ability to prioritize and work on multiple projects, be self-directed and proactive in a very fast paced and high-pressure environment. Previous people management/team lead experience an asset.